Ordered this for Halloween (I'm Irish) and got so many compliments on it. Strangers in the street were stopping me to ask to take a photo together. A couple of caveats to that: firstly, I did not like the hat, which is much floppier than it looks in the photo, particularly the brim. 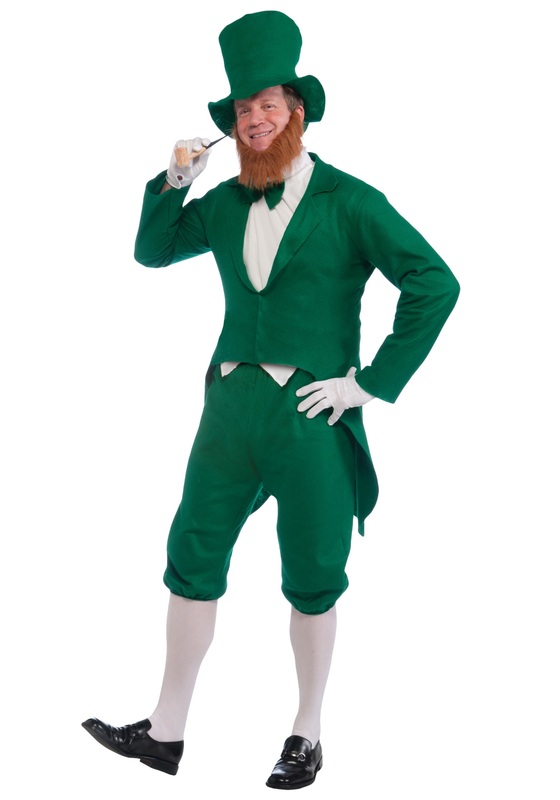 However, I simply upgraded to the St Patrick's Day Tall Hat, also from this website (Product # JA22742), and the extra $7 really made the costume look a million bucks in my opinion. I thought the costume was amazing value nevertheless. I'm very happy with it. The pants are very large at the waist and cannot be adjusted, so you might want to have a pair of suspenders handy if you don't have much of a beer belly! Again, a minor inconvenience, in my view, for a fabulous costume. Lastly, the label says not to iron the costume. I simply turned it inside out and ironed it through a pillow case on a medium heat and it ironed just fine - maybe test on an unobtrusive corner of the costume first to be on the safe side. Always quality product and great customer service ! We purchased 3 of these costumes for a play we are having this weekend. After trying on for costume parade and then dress rehearsal. we now have to completely make new pants. The felt pulls apart easily and cannot be mended. Not recommended for theatre. I'm sorry to hear about the quality! Did you happen to reach out to Customer Service in regards to this? They are here to help!